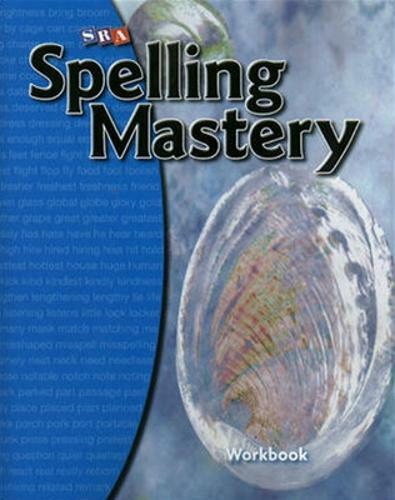 Spelling Mastery, Student Workbooks, Level C Replacing the old assign-and-test spelling book, Spelling Mastery is an effective, research-based program presents spelling strategies, patterns, and reliable rules. Benefits: Spelling Mastery interweaves three spelling strategies according to students' skill development. The phonemic approach helps beginning spellers learn and apply relationships between spoken sound and written letters to spelling. The morphemic approach shows advanced spellers how to spell prefixes, bases, suffixes and how to combine them to spell multisyllabic words. The intensive whole-word approach teaches students at all levels common words that cannot be taught with phonemic or morphemic strategies. Reliable spelling rules help students move beyond memorization to understand how words are spelled.